Thanks for another great dental visit! The care provided by my Dental Hygienist, Betsy, and Dr. Samuelson was the very best! I actually LOVE going to the dentist!! Great staff and docs!! Wonderful! Very informative and my kids felt relaxed and welcomed. Very nice office personnel and hygeniests. Very happy with my apt. .
I,m very pleased with the dental care I have received! . Great staff. Always make you feel comfortable. .
Everyone is excellent that works here,very caring and professional. .
Amazing experience!! staff is fantastic. Dr Samuelson is talented and dedicated to his patients. would recommend to anyone. won’t have a bad experience here!! Recently decided to make the jump to dentures and the experience has gone above and beyond all hopes. the entire staff is amazing – always willing to help, educate and support you any way they can. Dr Samuelson’s dedication and talent far exceeded any dentist i’ve had before. Sean (who made the dentures) made himself available to be at all my appointments. would recommend this clinic to anyone – especially if you have had a previous bad experience – that won’t happen here!!!! Dr. Samuelson and Dr. Scranton are both wonderful! All the staff are wonderful too. I used to have anxiety about going to the dentist but not anymore. Friendly and professional staff. Great service and provider!! Highly recommend!! Everyone is so friendly and wonderful!!! My son was terrified to go to the dentist and needed a lot of dental work and now he loves to go the dentist. He actually falls asleep in the chair! 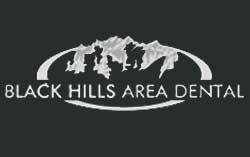 Black Hills Area Dental is the BEST!! Thank you for helping my son!